Right in time to announce the winner. 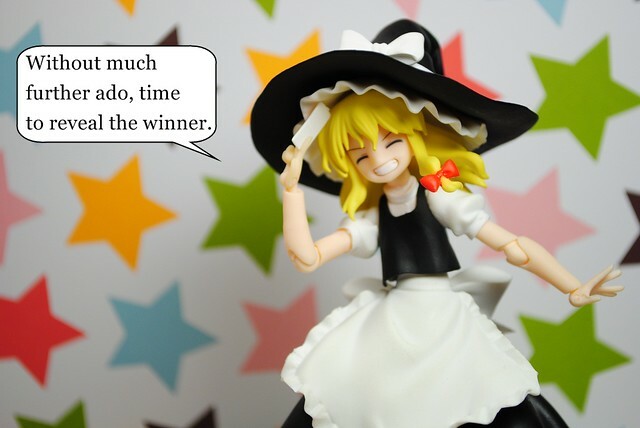 Go for it Marisa. 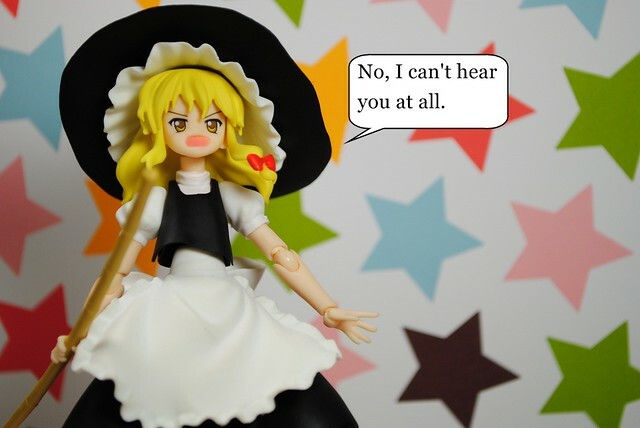 Trying to ignore the disembodied voice I see. 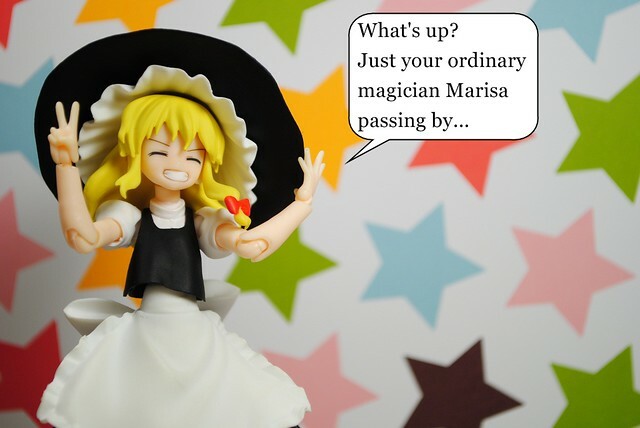 Marisa? 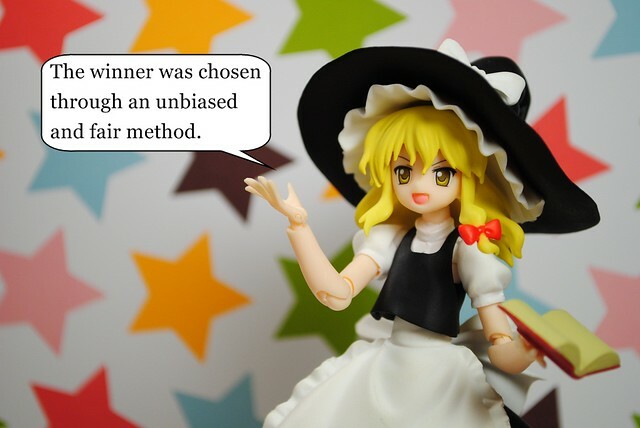 A Touhou girl? 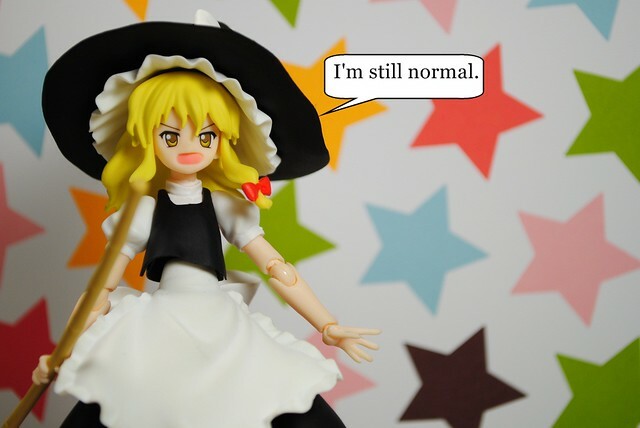 Normal? 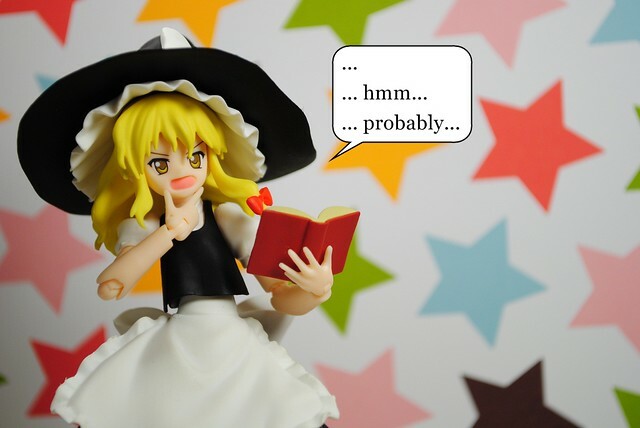 Is Marisa just reading that word for word? 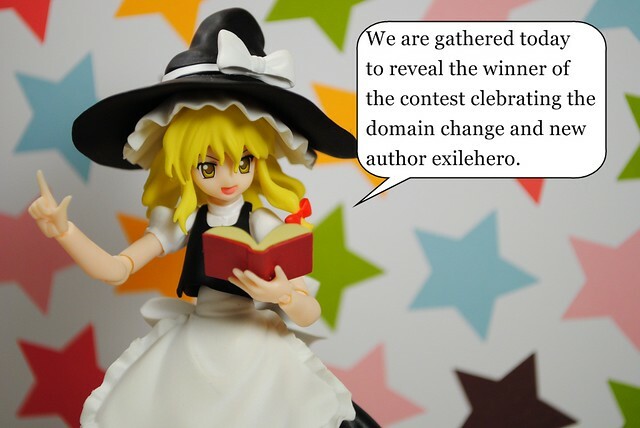 Details about the contest itself are here in this post. Sure did, went and used random.org and all. Probably? What do you mean probably? Indeed, too much beating around the bush by now. Old school games are cool. 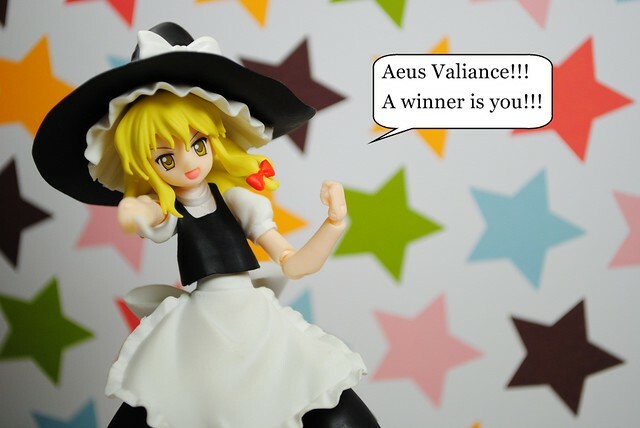 Aeus Valiance, I will send you email later on so you can tell me your pick and your shipping info. Hmm... I hope shipping doesn't cost me too much. 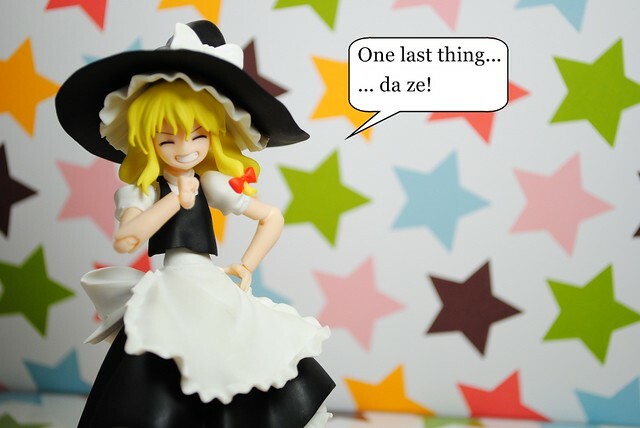 C'mon, it's Marisa, how can this end without a single ze?